we have taken the decision to move the current cardio and functional gyms into the Function Room Studio, overlooking the outdoor pitches. This will provide one large gym area, with plenty of natural light and more headroom, which we believe will create a nicer space in which to complete your gym workout. 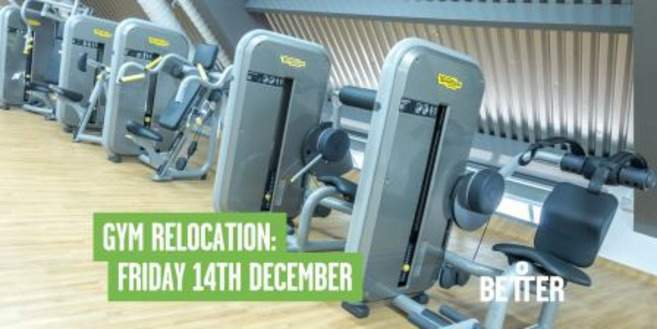 The free weights gym will remain in its current location on the ground floor. *Please note that these dates may change should we experience any unexpected delays. We appreciate your patience during this time and apologise for any inconvenience caused. Please check our timetable before your fitness classes or if you have any further queries, contact me via email.